Welcome adventurers this home is welcoming to all. WiFi, dog friendly, hot tub and close to downtown! Enjoy this beautiful home and charming guest cottage in the heart of downtown Red Lodge. This is your home away from home. Take a little stroll to go get some groceries, do a little shopping, or to hang in the park. At the end of the day settle in and take a soothing soak in the hot tub. The fenced back yard is great for a BBQ gathering with friends and family or if your pup needs some fresh mountain air. Just in case you want to check in, WiFi is available for your use. The main house is all one level and has a bedroom with a king sized bed, a bedroom with a twin bunk and a twin bed. The living room has a pull-out sleeper sofa. Two baths in the main house. The romantic guest cottage is located through the back yard, is studio style with a queen bed, a full bath, and a gas fireplace. "Spacious Base Camp Lovely home with a large sitting room and two good sized bedrooms. Bunkhouse was a fun treat for my teenager. Home is well appointed and very comfortable. Location is perfectly situated to walk up to Broadway while still being very quiet and peaceful. " "Great House House and guest house was great.....wifi was so-so. We stay at several places in Red Lodge, and usually never have problems like this location! Small kitchen if you're cooking for more than 4. We did enjoy our stay, and it's conveniently located near downtown! " "Cute little house called Two Pines in Red Lodge This little house was perfect for our group of ladies for a long weekend. Plenty of beds and bathrooms. Location was excellent. We walked everywhere, found great restaurants and shopping on Main Street. Found a very pretty hike, and fairly flat, out on the Lake Fork Trail. Enjoyed breakfasts at the house with the nice big dining table, and the living room was large and comfortable. The house ""decor"" was western and in very good taste. Linens, towels, and kitchen ware were all top quality. The only thing we had trouble with was the coffee maker - none of us had ever seen or used one quite like it and we had overflow problems. Hot tub was a ball, and we had a fabulous time. The little guest room in the back yard was great for those that wanted more privacy. There was a bathroom out there also. Thank you to the owners and to Red Lodge AAA Rentals. We could tell that this house has had much loving care! " "The Perfect Place to Stay in Red Lodge Two Pines was PERFECT. A clean, well appointed, roomy rental at a great price! Our first vocation rental experience couldn't have been better! We highly recommend this to all considering! " 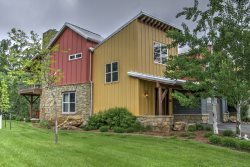 "Fantastic Home We stayed at this house over Thanksgiving and everything about it was great. We hope to rent it again next summer. The cottage in the back is very private and cozy. The back yard is fenced in so our dog was able to travel with us. This is by far the best rental we have stayed in. " "Very nice with convenient location. Left on Mar 18, 2014 for a stay in Feb 2014 We had everything we needed here. Very nice house and cabin. We had to shovel snow a couple times but overall a wonderful place to stay. We look forward to renting this place again for our ladies get away. " "Back to my old street. I used to live in Red Lodge on this very street. I loved being back in the neighborhood and being able to walk to town. The house was perfect for all my needs and spotlessly clean. I love Jenn and Piney. " "Fabulous get away in Red Lodge! Left on Nov 24, 2013 for a stay in Nov 2013 We frequently visit mountain locations (Red Lodge, Bozeman, Big Sky) and half of the adventure is finding wonderful homes to rent. Two Pines was no exception...perfect for our weekend! Nice decor, comfy beds, roomy for 3 couples, and our pets were at home as well. Very nice! Aaa Red Lodge Rentals was great to work with and they made our stay go very smoothly. "